Get Filler done at professional Toronto beauty clinic. Dermal Fillers utilizes the highest concentration of hyaluronic acid (HA) available in addition to the rejuvenating properties of non cross-linked HA. Dermal Fillers are used to temporarily add HA to the skin, restoring volume and filling in lines and wrinkles. The gels integrate naturally into the tissue and allow vital nutrients such as oxygen and hormones to continue to pass through the skin. After time, the HA will be naturally broken down and absorbed by the body. Dermal Fillers are used to fill in wrinkles, restore volume in the face and rejuvenate the look of the skin. Results are instantaneous and due to the proprietary cross-linking technology used, results are long-lasting and after time, harmlessly broken down by the body. The procedure is quick, simple and non-invasive. A procedure can take as little as 15 minutes to complete. The Revanesse family uses the highest concentration of HA- a key component in the skin’s ability to hold water and stay moisturized. The HA used in Revanesse is obtained through non-animal sources and is specifically for medical use. 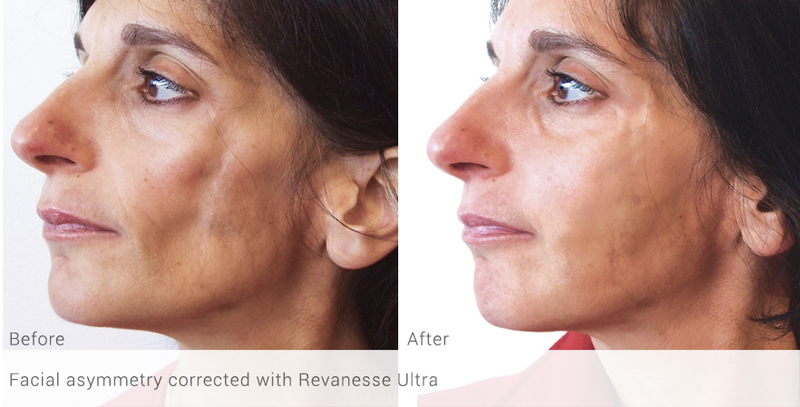 Revanesse products are biodegradable and biocompatible. It is broken down naturally within the body. Dermal Fillers can be used to create balance and symmetry, enhance and augment facial features and create or restore volume in the face. The gel integrates naturally into the skin. Dermal Fillers are now available with Lidocaine for added patient comfort. A patient is able to get back to their daily routine after the treatment with little to no downtime required. The Thixofix cross-linking technology creates a gel that is safe, smooth and easy to inject while ensuring maximum durability and longevity. In the rare event that the patient is not satisfied with the results, the use of a simple enzyme, hyaluronidase, can easily and immediately reverse the treatment. Currently, in the area of fillers the most popular medicine in the world is based on Hyaluronic Acid, which includes brands like Juvederm, Restylane and Revanesse. Fillers are injected into the soft tissue with a needle. There is a local anaesthetic inside the syringe which makes the treatment more comfortable. Our cosmetic injector likes to keep her patients extra comfortable. She applies a topical anaesthetic before injecting as well as uses ice if necessary to add more numbing. (This also decreases the chance of bruising). Fillers can last between 6-12months on average; results vary from person to person. 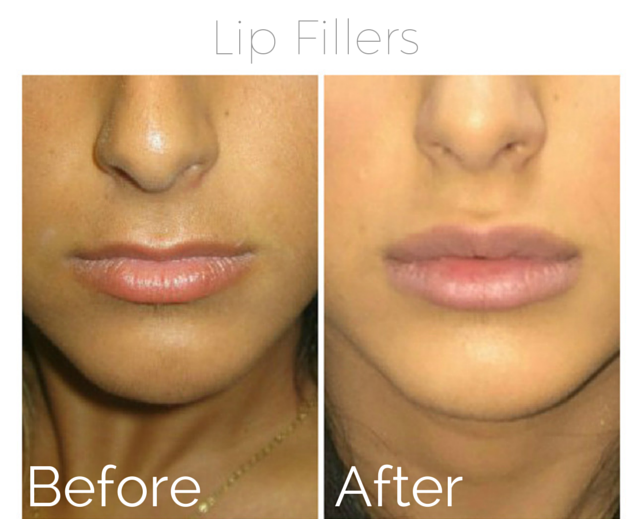 To keep your Fillers lasting longer, it is recommended to maintain and come for "touch ups". The average person will do a Filler treatment 1-2 times a year.